Reston Town Center has a new salon, and this one is just for men. 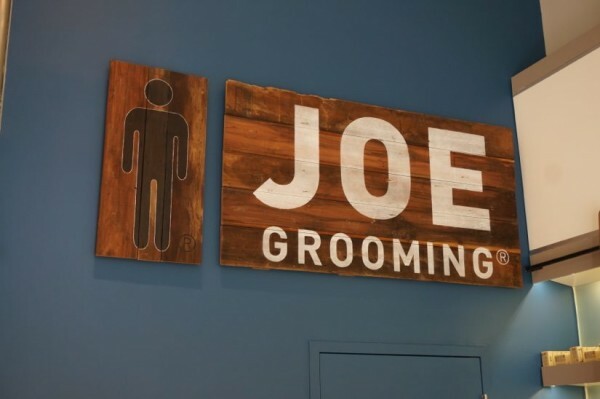 Joe Grooming, a McLean-based men’s hair, shaving and skin care line, recently opened its first dedicated retail store and salon at 11944 Market St. The location formerly housed PR at Partners salon, which moved to a larger space on Democracy Drive, also in Reston Town Center. The men’s salon sells Joe Grooming products, as well as offers hair cuts and shaves. “When you step into the shop you will notice the welcome mat which reads, HELLO RESTON, as we are thrilled to be in Reston Town Center,” Joe Grooming founder Dan Kliska said in a release. Kliska has teamed with Reg Laws, owner of the 16 PR at Partners salons, to open the first Joe Grooming store. Joe Grooming says its products are made with a core of natural ingredients. It also participates in a “Get One, Give One” program, where for every product purchased, one is donated to charity. Local charities include Cornerstones, FamilyPASS, Northern Virginia Family Service and SHARE of McLean. The salon is open seven days a week. Visit Joe Grooming’s website for appointments and more information. Joe Grooming will have a grand opening/ribbon cutting ceremony on Thursday, Oct. 29, 2015 at 5:30 p.m.